Floral, grassy and minty on the nose, its bittering qualities are classic and well rounded. When brewed, Willamette features complex spiciness characterized by both herbal, floral and fruity notes. A delicately spiced, citrusy aroma with both a floral and herbal punch. It has a unique banana character that plays well with wheats and weizens, but it also inherited its mother's spicey notes, which are perfectly suited for Saisons and other belgian styles. It exhibits an interesting flavor profile of lemon citrus and cracked pepper. As an early addition it imparts a soft, rounded bitterness. 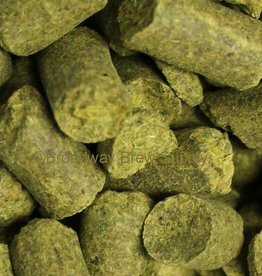 Perle is said to have a pleasant aroma, elements of mint and pine with a hint of spice. 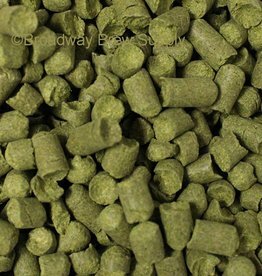 It is primarily used as a bittering hop due to its high Alpha Acids(recent harvests range from 11-16%). 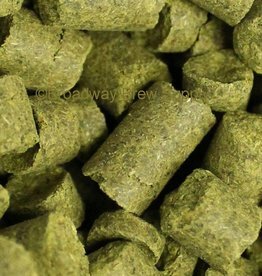 In brewing, it is useful as both a bittering and aroma hop but is used predominantly as an early addition by commercial brewers in Germany. It features a lightly flowery and spicy aroma.